The Democratic Party is gearing up to officially announce Hillary Clinton as its presidential nominee, and although the liberal primary has certainly involved less drama than its Republican counterpart, Philadelphia has nevertheless ramped up its security in preparation for the Democratic National Convention next week. 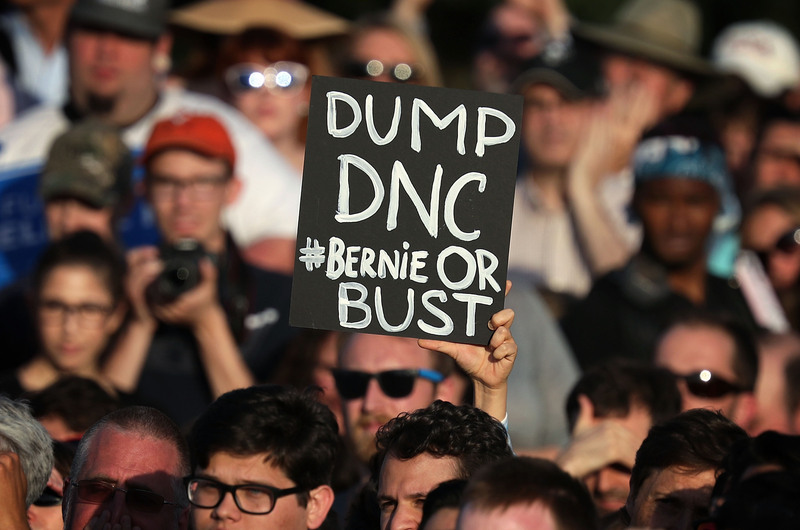 Though officials say that the additional security is needed to ensure that the DNC convention is safe to attend, some of these security measures have raised concern among activists who hope to use the DNC as a way to voice their discontent with the party's current platform. Liberal activists and Republican officials alike voiced major concern over what was initially reported as plans to "build a wall" around the Wells Fargo Center and nearby FDR Park in South Philadelphia. Protesters were calling this no-scale fencing a "Bernie Barrier," afraid that the wall would block delegates from seeing or hearing the scores of Bernie Sanders supporters who planned to descend upon the convention space. The Hill reports that Alabama Senator Jeff Sessions was particularly critical of the wall, using it as a means to fire off at presumptive presidential nominee Clinton. The Republican said in a statement: "It’s interesting that the Democratic National Committee will have a wall around their convention to keep unapproved people out while at the same time, their presumptive nominee, Hillary Clinton, pushes for open borders policies that are even more radical than President Obama’s." But the tens of thousands of protesters expected to attend the convention shouldn't worry too much, Philadelphia's Deputy Managing Director Brian Abernathy told Philly.com. Abernathy assured protesters that the fencing around FDR park would not block their visibility to the convention space. "It is in close proximity to the delegates. Busses drive right by them. They will be seen and they will be heard." The DNC Action Committee plans on making up a bulk of those protesting, according to NBC Philadelphia. The Committee includes activists from Democracy Spring, Black Lives Matter, Reclaim Philadelphia, and Poor People’s Economic Rights Campaign. They hope to use their time at the DNC as a means to voice concern over the Democratic Party's platform, which they feel should include heightened action around education, income inequality, and healthcare. And though the committee may not be out supporting Sanders specifically, who endorsed Clinton in mid-July, much of his original message still carries over. So while the convention outside may look a bit different than what is taking place inside the center, activists hope that — wall or not — their voices will be heard just the same.